Get dedicated support from our Expert VoIP Technicians for a number of leading brands, who can help troubleshoot and configure VoIP product system issues. At VoIPon, we understand that there may be times you require help with your VoIP equipment. The VoIPon technical staff can troubleshoot and configure VoIP system issues. We offer a variety of packages, to ensure you have accelerated support when you need it. 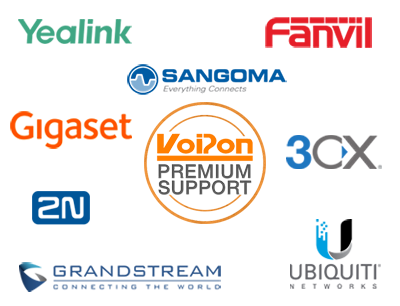 Please Note: The VoIPon Premium Support Starter Pack covers Monday – Friday 9am – 5.30pm GMT and excludes bank holidays. Orders placed out of these times will be processed the next working day.